Life has been busy since Worlds capped off the season at the end of September. I've since taken some time off, and am now back into training. Lots of fun hours spent riding in Winnipeg's windy, cold flatness. I've even seen a few snow flakes floating around! I'm so thankful for all my thermal Champion systems riding gear, didn't need it all summer but it is amazing in this cold weather. To break up the certain monotony that results from riding in fields, I've signed up for a couple Winnipeg Cyclocross races. The growth of this discipline in Manitoba has been exponential in the past few years. It has been lots of fun to reconnect with everyone in the cycling community. 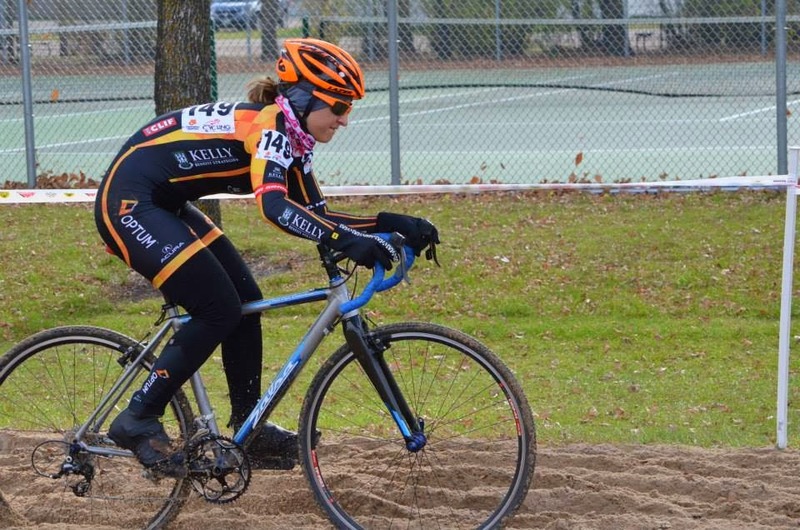 Last race of the season is Provincials next weekend at the Forks. There is even an open race for unlicensed riders to come out to try racing (seriously, do it! I even convinced my dad to race yesterday). This fall has been a whole new experience for me with no school to think about. However, I think Quest instilled a lifelong passion for learning, so I'm taking an online Science of Cooking course. Chemistry has never made more sense! Making perfect eggs, ricotta cheese and ice cream have made for excellent labs so far. I'll continue to share any particularly interesting facts I learn for the foodies out there. And for anyone interested in education, the quality is impressive for a free course, it's worth checking out the website edx.org.